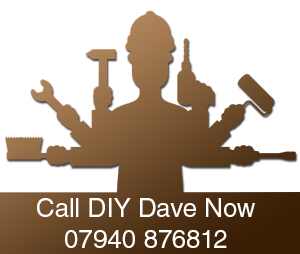 DIY Dave delivers a handyman and general maintenance service in Newbury, Thatcham, Hungerford, Kintbury, Kingsclere, Burghclere and the surrounding local villages of West Berkshire and edging into Hampshire areas. Thanks very much for your hard work. It's a really good job that you've done & we'll be in touch again in the not too distant future as we have some skirting in the lounge & kitchen to finish off. We'll also not hesitate to recommend you. Thank you very much for a job well done! I am very pleased with the greenhouse and the summerhouse. Please find payment enclosed. Thankyou for doing a great job, the loo looks fab (never written that in a card before!). Please find enclosed cheque for the wonderful work you did in creating our nursery. We are absolutley thrilled & I'm sure the baby will be too! !